Oppo’s SuperVOOC is currently the fastest wired charger with its 50W speeds at 10V/5A, however, Xiaomi is looking to up the ante on charging speeds with its new Super Charge Turbo. The company will announce its new charging technology at an official event tomorrow but we got a glimpse of its capabilities early. In a Weibo post by the brand’s president Lin Bin, we got our first look at the 100W charger running at 20V/5A against Oppo’s 50W solution. After just 17 minutes, Xiaomi’s charger manages to reach 100% while Oppo’s charger is still at 65%. These speeds are remarkable, given the fact that Xiaomi’s Super Charge Turbo is giving power to a 4,000 mAh battery while SuperVOOC works with a smaller 3,700mAh cell. For comparison, Huawei’s upcoming 55W Super Charge for the Mate X will need 35 minutes to fully charge the device. Xiaomi’s current devices support up to 27W wired chargers but even Mi 9 flagship only packs an 18W charger in the box. 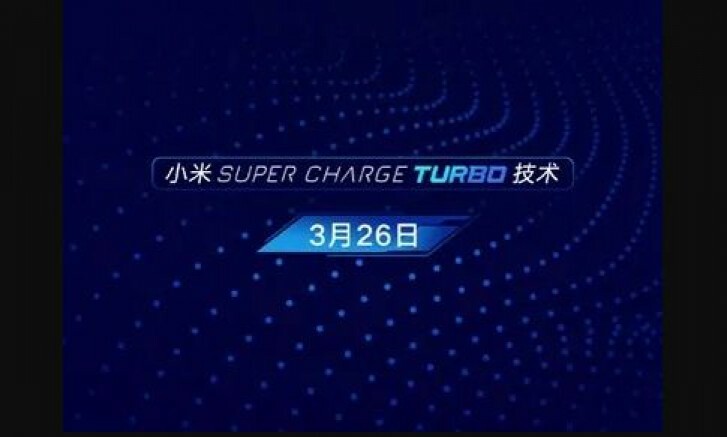 We are yet to learn when we can expect the Super Charge Turbo in actual commercial products, but maybe that will happen tomorrow. Absolutely correct... I would prefer NSA over Chinese though. The Closest thing to a replaceable battery in my opinion. Because warranties do not cover normal wear and tear from use. Pretty sure battery degradation due to repeated use of Super Charging is not gonna be covered by warranty if its defined as normal wear and tear from use.